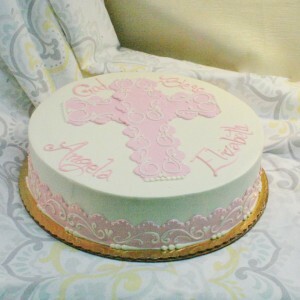 Featuring a rolled chocolate cross in the center and band along the side. Includes customer’s choice of one color rolled chocolate, detailed with white Vienna Waltz design work. 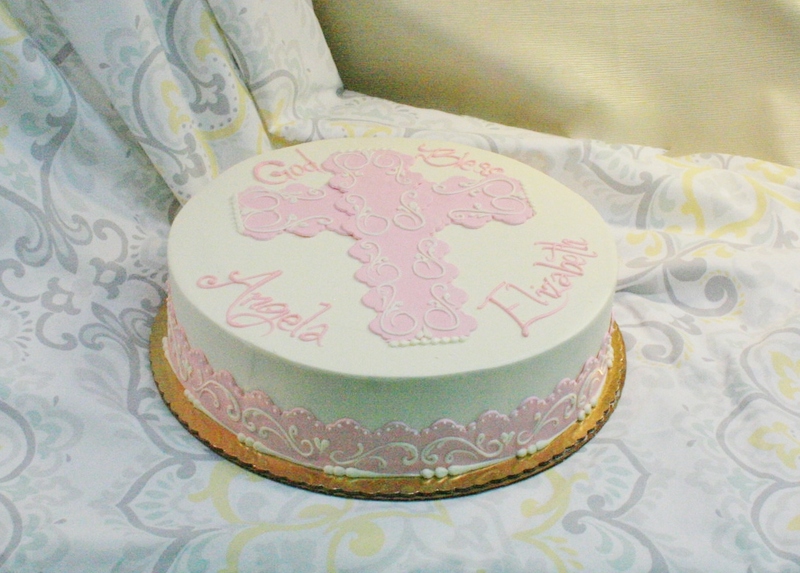 Shown as a 16″ frosted in vanilla buttercream with light pink rolled chocolate. Available in any flavor and size if ordered by Wednesday for the weekend.